Do you want financial freedom? If you're like me, you want a secure financial future, one in which you don't worry about paying the bills, you donate to your favorite causes, and easily pay for things, such as vacations, houses, cars or whatever it is you want. But what if financial freedom is the very thing that can destroy your finances? Do you want financial freedom? If you're like me, you want a secure financial future, one in which you don't worry about paying the bills, you donate to your favorite causes, and easily pay for things, such as vacations, houses, cars or whatever it is you want. But what if financial freedom is the very thing that can destroy your finances? What you feel, think and focus on attracts experiences, situations, things and people into your life that you may or may not want, depending on your thoughts and energy you put into them. To some, this may seem like bunk. However, take a look at your finances. Do you have more than enough in your savings account? What about your investments? Do you have a strong portfolio? 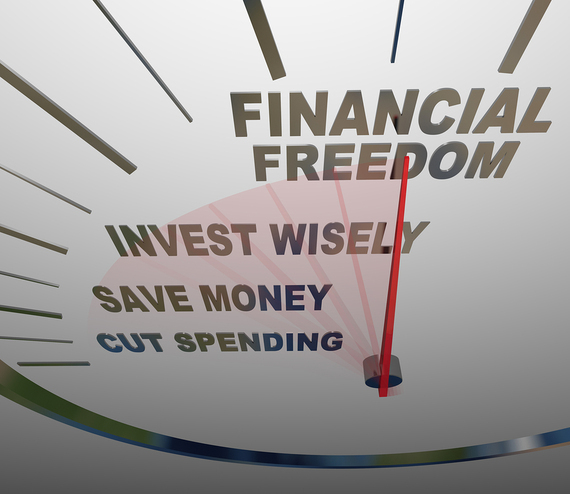 If you want financial freedom, you may attract situations, such as bankruptcy, credit card debt or job loss. Why? Because you focused on "freedom from finances" aka financial freedom. Is this what you want? Probably not. But, you may inadvertently attract financial distress into your life if you focus on having financial freedom. In short, you need to understand your finances instead of sabotaging them. Take a look at your finances right now. I know it's not easy, and you may cringe at what you see. But it's important to know what you have or don't have in the bank right now. You may only have $50 in your checking account. You may not even have a savings account. Don't be ashamed. Acknowledging that you have or don't have nearly as much as you thought is a step in the right direction. Does setting goals or dreaming about a bigger checking and savings account make you want to pull the covers over your head and hide? I get it. If you set a financial goal of saving $10,000 per year, your palms may sweat and you may become anxious. If this happens, take a deep breath and forget about setting a financial goal. This is counter-intuitive. However, if you shift your focus away from saving $10,000 per year and focus only on saving, you may be surprised that you reach or surpass your $10,000 goal. On the other hand, if setting financial goals doesn't scare you, go ahead and set a savings goal. Are others influencing your path to financial success? Jim Rohn was an American entrepreneur, author and motivational speaker, famous for saying, "You're the average of the five people you spend the most time with." If your finances are out of shape, take a look at the finances of the people around you. Do they make a healthy income? Are they paying their bills on time and have money left over in the bank? How many times do they say, "The rich get rich and the poor get poor?" The answers may surprise you. In order for you to develop a richer mindset, you may want to find, meet and hang out with financially set people. You may be surprised that they're good people who could help you improve your finances and life. If you're experiencing a financial meltdown, it may be that your focus on financial freedom is to blame. Constantly focusing (monkey mind) on something pushes it away from you. This is known as a paradigm shift. While you want to focus on building your finances, you don't want to obsess over them. Review your debt and income. Create a simple plan to increase your income and decrease expenses. You may want to consult a financial advisor or CPA (certified public accountant) and read various personal finance posts. Also, and this may seem a bit woo-woo for some of you, but do you feel wealthy? Do you feel worthy and deserving of financial abundance? If not, you may want to acknowledge this and examine your beliefs that are holding you back.